Throughout my career as a tax accountant with PriceWaterhouse Coopers and then Dixon Hughes Goodman, I have focused my career on providing personalized tax accounting services to my clients. I am a Certified Public Accountant (CPA) and Certified Divorce Financial Analyst (CDFA) who guides clients through life transitions in an empathetic, highly responsive and technically astute manner. As a CDFA and Collaborative Law Financial Neutral, I navigate the financial issues associated with divorce, evaluating the financial and tax implications of dividing property, settlement options, and child and spousal support. As a CPA specializing in tax, I can assist you after divorce with your family’s accounting needs. Victoria often works with one party, assisting them through the financial aspects of the divorce and separation process in collaboration with their legal counsel. 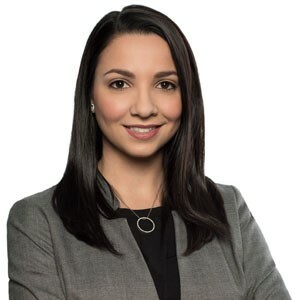 In addition, Victoria uses her financial planning experience to assist spouses working through separation in a collaborative law setting in developing alternatives to divide assets in a manner that is beneficial to all parties. Victoria is a local, graduating from Lenoir-Rhyne College. She is a member of the Institute of Divorce Financial Analysts, National Association of Certified Valuators and Analysts, and the North Carolina Association of Certified Public Accountants. Victoria and the Clarity team also enjoy teaching classes to attorneys and spouses on the various financial aspects encountered in the divorce and separation process. 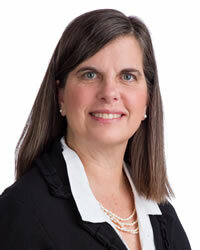 Elizabeth Gregg, a native of Charlotte, has been helping business owners and individuals in the community since 1998. A former benefits manager for a large textile company, Elizabeth holds her MBA from Kenan-Flagler Business School at UNC Chapel Hill. This combination of corporate experience and finance brings a wealth of knowledge to her clients as she works to help them pursue their personal financial goals and support their business endeavors. In addition to her investment work, she helps clients with individual and group insurance needs and offers comprehensive financial and retirement planning. She holds the Certified Divorce Financial Analyst designation and supports attorneys and families in the divorce process. Active in the Charlotte community, Elizabeth is a past president of The Junior League of Charlotte, Inc., The Society For Financial Services Professionals and is a current board member of Child Care Resources, Inc. She has three wonderful adult children. As the child of divorced parents, I have seen firsthand the stress the legal system can have on a family. I was fortunate in that my parents had a wonderful support system comprised of other family members and their respective attorneys, making the legal process smooth and manageable. More than ten years later, my family is a happy and loving blend of stepparents, stepchildren, new aunts and uncles, cousins and numerous grandchildren. It is this background that led me to law school, and specifically to the practice of Family Law. I attended the University of Florida with the aspiration of eventually attending law school, and fulfilled that dream at the University of South Carolina School of Law. While in school, I was able to gain experience in many different areas of law – however, none seemed to fit. It wasn’t until I moved to Charlotte that I was finally able to get my feet wet in the practice of Family Law. I found that my personal history bolstered my passion for Family Law and the compassion I feel towards all of our clients. I am thrilled to have found an area of the law that allows me to help those going through a difficult period in their lives come out stronger and happier on the other side, just as my family did. My goal continues to be to dedicate my career to ensuring other families have a similar experience to mine. I consistently strive to be a strong support system and zealous advocate for those going through a complicated time by providing impeccable service and a sympathetic ear. I believe that with the right service and support, families can successfully navigate their legal matter and move forward in a positive manner. As the youngest of a blended family of five children, Andria understands the difficulties related to the separation and combining of families. 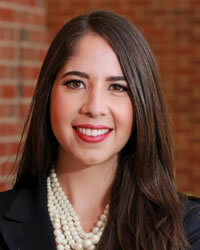 Originally from Miami, Florida, Andria moved to North Carolina to attend Wake Forest University knowing that she would one day practice family law. While in law school, she took part in the Child Advocacy Clinic, where she acted as Guardian ad Litem for children involved in domestic violence and high-conflict custody cases. She also engaged in numerous pro bono activities, such as the expungement clinic, wills clinic, and the Domestic Violence Awareness Coalition. Upon graduation from law school, she was selected as her school’s recipient of the North Carolina Chapter Law Student Award from the American Academy of Matrimonial Lawyers. Andria practices family law at Marcellino & Tyson, PLLC, helping her clients navigate through issues related to child custody, child support, alimony, and equitable distribution. She ensures that her clients are educated and fully prepared every step of the way. When she is not working, Andria enjoys spending time with her family, friends, and her dog, Lola. A separation and divorce is an emotional and confusing time. Since no two cases are the same, Ashley takes the time to understand her client’s concerns, but more importantly to explain all of their options. She is a believer in the collaborative method, which seeks settlement versus courtroom litigation. She believes this is the best option for her clients, both financially, but even more importantly when children are involved. However, when collaboration and compromise are not options, Ashley will aggressively advocate for her clients in the courtroom. Ashley is a volunteer attorney with Safe Alliance and represents victims of domestic violence against their abusers. In April 2015, she received the “Commitment to Justice” Award for her contributions to the Legal Representation Project. Ashley is originally from Altantis, Florida, but relocated to Charlotte in 2011. In her free time, she enjoys spending time with her family, friends, her dog Sophie, and cheering on her Florida Seminoles. Althia is a North Carolina Professional Counselor and a Distance Credentialed Counselor, offering therapy and tele-mental health services to individuals, couples, and families both in-office and through video conferencing in Charlotte and throughout North Carolina. She specializes in the areas of trauma, divorce/relationship recovery, grief, and life transitions. She currently owns the private practice Well Way Counseling, PLLC. 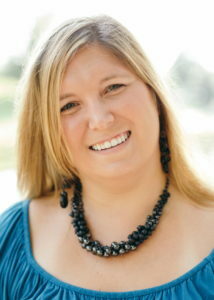 Althia commonly utilizes techniques from her trauma background to treat clients who are struggling with the intense emotions associated with separation, divorce, and blended families, as she strongly believes that divorce and separation often constitute severe emotional trauma. Althia is passionate about travel, culture, and language. She offers therapy in Spanish and Portuguese and has lived abroad in a number of countries. She believes that travel is extremely therapeutic and values sharing the healing power of travel with her clients. Althia owns and operates the therapeutic retreat business, Phoenix Nest Exposure Coaching, which gives clients who are working through transitions such as divorce a respite, change of perspective, and a refueling from their lives at home. These retreats combine travel, cultural experiences, and therapeutic coaching as a means of healing. Erin has experience working with children, couples, individuals, and families from all different backgrounds. She utilizes an extensive, diverse and authentic approach to therapy, which helps her clients gain the most from their sessions. Her passion is to help families and individuals heal from traumatic and crisis filled situations. She is trained in the Soul Healing Love Model and being trained in Trauma counseling. She has worked with several individuals and families going through a separation and divorce in order to create meaning out of this time and heal. Self-care is a huge passion area for Erin and she teaches it to her clients. Erin is a Licensed Marriage and Family Therapy Associate (LMFT-A) in North Carolina. She earned her MA in Marriage and Family Therapy at Pfeiffer University and her BS in Child Development from Appalachian State University. She loves to travel and has been to several countries around the world, which has helped her better understand and appreciate diversity, cultures and people from all walks of life.